The Steven Kasher Gallery was pleased to present Carl Strüwe: Microcosmos, the first solo exhibition of the German photographer in the United States since his 1949 solo show at the Brooklyn Museum. 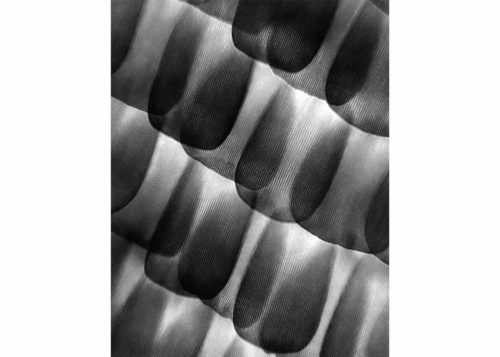 This survey features over 50 black and white prints made by the artist of his microphotographs from 1926 through 1959, all part of his project Formen des Mikrokosmos (Forms of the Microcosmos). A graphic designer and photographer, Carl Strüwe (1898-1988) is considered the father of microphotography as art. He deserves to be rediscovered as a significant protagonist of early twentieth-century German photography and as an important link to the international abstract photography so widely practiced today. This exhibition is mounted in conjunction with our concurrent show Gottfried Jäger: Photographer of Photography. Jäger was deeply influenced by Strüwe and owns the Strüwe archive.